Beyond Escapes is a completely new and wonderfully indulgent holiday and leisure experience. 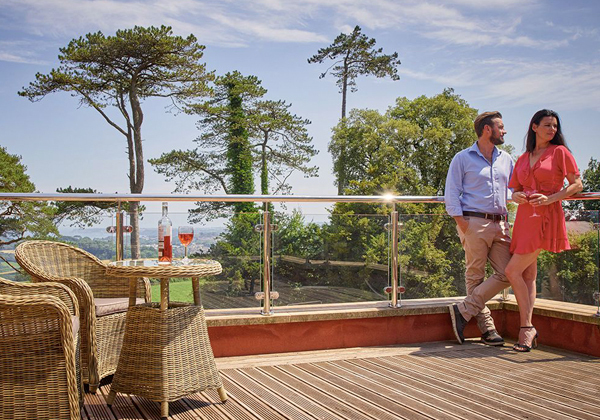 The stunning accommodation ranges from boutique BE Chic Studios and Apartments through to contemporary but cosy BE Deluxe Lodges with their own bubbling hot tubs, set in some of the country’s most glorious locations. The BE You Spa and BE You Gym were all designed, coordinated and delivered by the team at Spa Creators. Spa Creators were responsible for the internal detailed design and space plan for the entire building, which consists of 3 floors: Lower ground, Ground and 1st floor. Ground floor: Reception and restaurant with bar to seat 60 covers, with balcony terrace with views to the sea. Lower ground floor: The BE You Spa offers treatments from Elemis, Ishga and Lava Shells with menu and signature experiences created by Spa Creators. 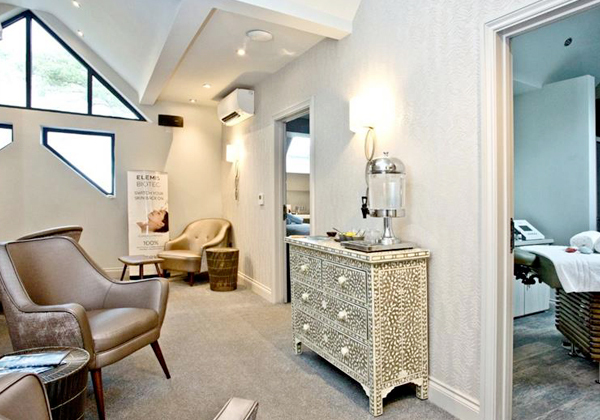 There is a light and airy welcome reception with a manicure station with bespoke designed chair made by Rem. The dual view thermal relaxation room has bi -fold doors for an inside / outside feeling, which includes 4, heated ceramic mosaic loungers with stunning views out to the sea. The Thermal suite includes a large Aroma Essence Steam Room which seats 8 and a traditional Swedish Sauna to seat 8 by Dale sauna. There is a 2-person mosaic tiled foot spa from Cheshire wellness. The wet spa area has unisex changing with private change facilities, padded bench seating and lockers by Crown Lockers. 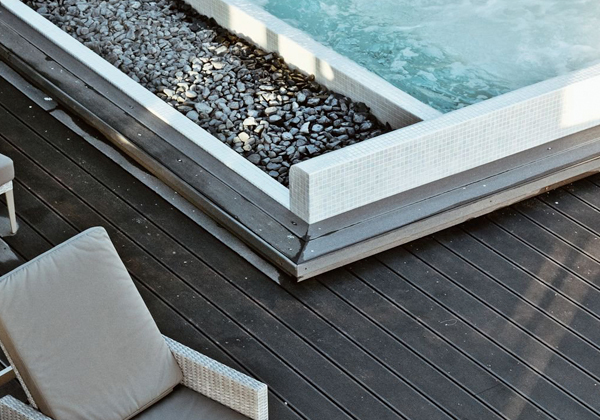 There is a rectangular outdoor 10 person Ocean Vitality pool with bubble loungers and massage stations with a stunning water wall (3m x 4meter high) by Rigo spa. The very spacious decked terrace area around the pool has views out to sea with 8 high quality loungers around the pool with matching tables and chairs all supplied by Bridgeman Furniture. The BE You Gym and fitness suite is open to both guests and external members and has equipment supplied by Matrix which includes: cardio and strength equipment and access to decked terrace for outdoor yoga and fitness classes with views of the glorious Devon countryside down into Torbay. First floor: On the first floor there are 4 spacious treatment rooms, including a VIP double room with shower plus a disabled room with shower. The team fitted the treatment rooms with superb quality electric massage beds and super soft towelling and bathrobes by BC Softwear. The relaxation lounge is fitted with bespoke chairs and footstools, sourced and supplied by Spa Creators design team and the sea views on this floor are enhanced by huge porthole style windows.